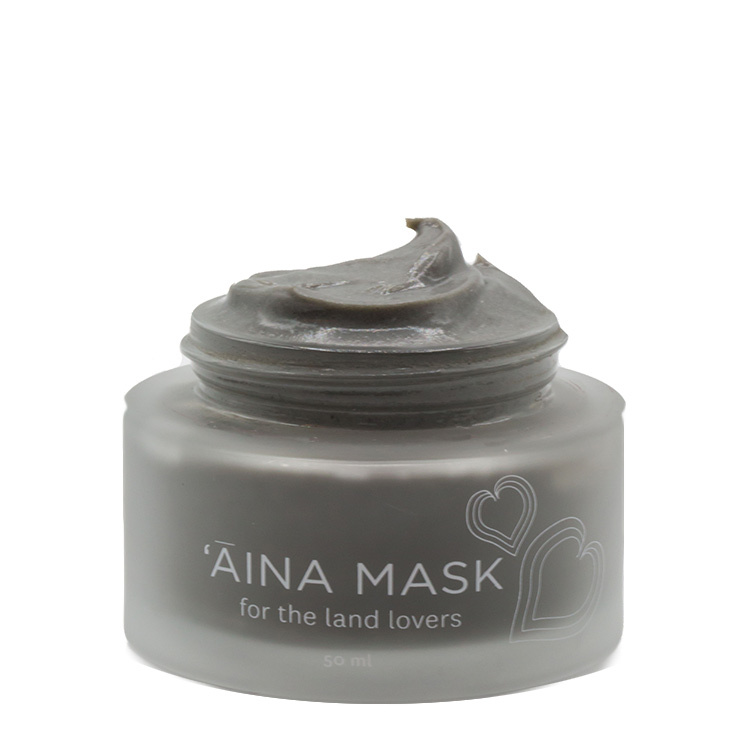 A tropical treat for skin, Honua Skincare Aina Mask creates a glowing appearance with ingredients your skin will love. Kalo, from the Hawaiian super plant taro, is used for its healing sensations, diminishing signs of acne and softening the appearance of wrinkles. Coconut charcoal has a cleansing and detoxifying feel on skin, and ni’oi, or Hawaiian chili pepper, makes skin feel revitalized and boosts the look of radiance. 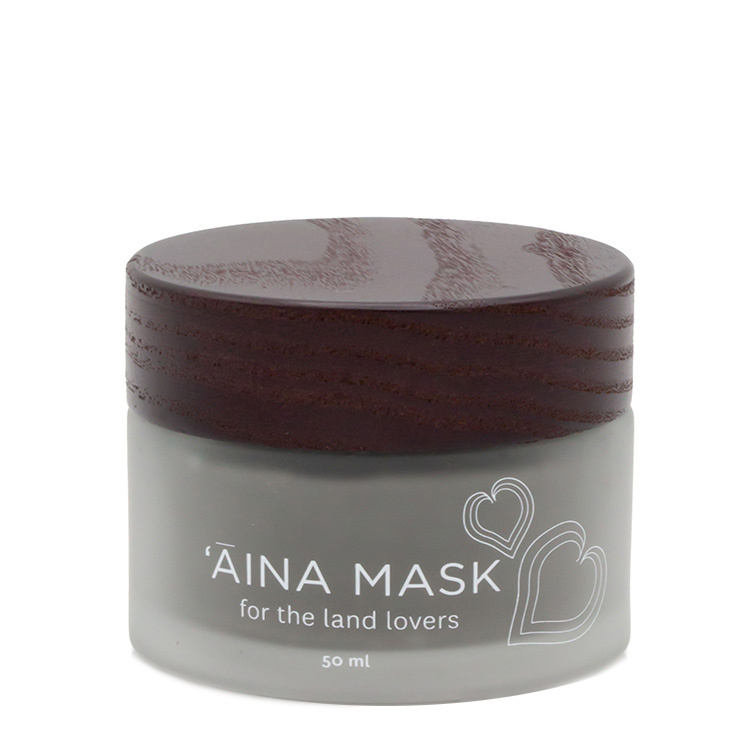 Tamanu oil rounds this mask out and makes the complexion feel hydrated and balanced. Use when skin looks tired, lifeless, dull, or sapped. Apply a layer of the detoxifying charcoal mask to clean skin and allow to remain on skin for 5–20 minutes, depending on your skin type. Always remove a mask if you feel it is irritating your skin. Rinse with warm water and moisturize as usual. Use weekly or whenever you feel skin is in need of a pick me up. Hawaiian Raw Honey, (Kalo) Taro Powder,(Awapuhi) Zingiber Officinalis, (Bamboo Carbon Charcoal) Bambusa Arundinacea, Fullers Earth Clay, (Kokoleka/Cacao) Theobroma Cacao Powder, Neroli Hydrosol Water, (Hibiscus) Hibiscus Sabdariffa Flower, (‘Olena/Turmeric) Curcuma Longa Root, (Witch Hazel) Hamamelis Virginiana ,(Willow Bark Extract) Salix Nigra, Vegetable Glycerin, Tamanu Oil, Ni’oi (Hawaiian Chili Pepper), Rose Geranium Flower Oil, Non-Gmo Mixed Tocopherols, (Hawaiian Sandalwood) Rootsantalum Paniculatum, Organic Sage & Rosemary Antioxidant Blend.